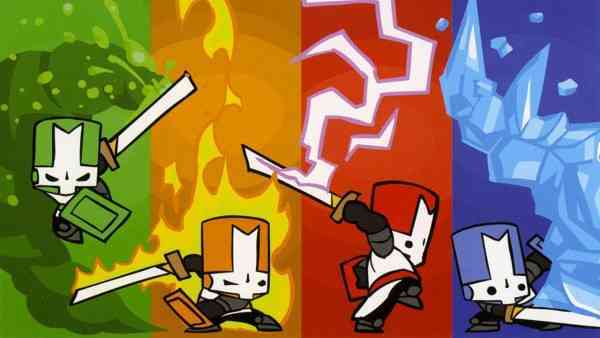 The Behemoth has announced that they are officially bringing Castle Crashers Remastered to the Nintendo Switch and PS4 later this Summer. Announced via their website blog, CCR on Switch will take advantage of a handful of hardware features including HD Rumble, Nintendo Switch Online, and 4-player local joy-con support. On PS4 it’s a bit less exciting — the lightbars on the DualShock 4 controllers will light up to show your character infinity colour. The blog post also touches upon the possibility of a sequel to the popular 2D arcade adventure game. The developer might make it someday “but it would have to hit all the right points at the right times.” They go on to explain that it would have to be a product that would be “vastly improved” rather than being more of the same. Are you stoked to play this classic game on PS4 and Switch? Xbox One owners have been enjoying this for quite some time now. Let us know in the comments below.